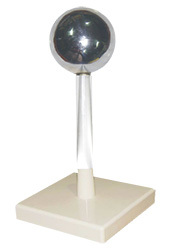 It consists of various objects which are used for demonstrating electrostatic phenomena. Various items provided in the kit can be mounted on the tripod stand (with levelling screws) with the help of an insulated stand rod. 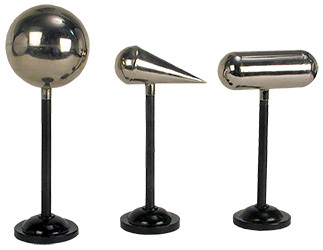 Suitable to use with Van- De-Graff generator or Wimshurst machine model. 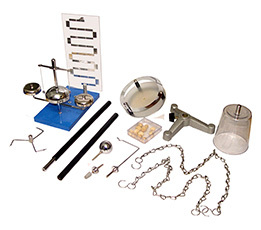 Storage stand 1pc, Friction rod 1pc, Luminous Pane	1pc, Tripod stand 1pc, Stand rod 1pc, Sphere with connector pin 1pc, Bell 1pc, Connecting chain 2pcs, Paper brush 1pc, Pith balls in box 10pcs, Pith double pendulum 1pc, Needle with connecting pin1pc, Pointed wheel 1pc, Jar with point shaped electrode 1pc, Jar with spherical shaped electrode 1pc, Hook stand 1pc, Base plate with ring guide 1pc, Plastic ball 1pc. It consists of a plastic jar with a metal insert in an outer shell, both of which can be removed to show that the charge lies on the surface. 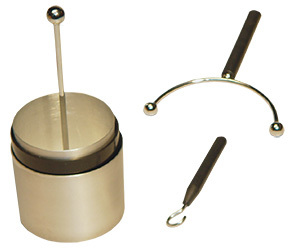 It is provided with discharger fixed type held on the metal rod to which a non-conducting handle is attached. Recommended for demonstration of high voltage and static charge. Extractor for removal of internal vessel is also provided. Jar:90mm Dia., Aluminium. 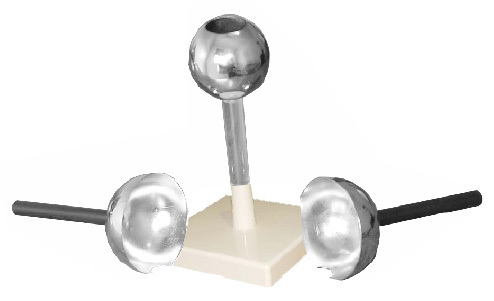 A conducting sphere made of brass electroplated Diameter: 70mm. Mounted on a plastic rod. The entire assembly is fitted on a stable plastic base (size: 15 x 15cm). Hollow sphere with a hole in the centre. 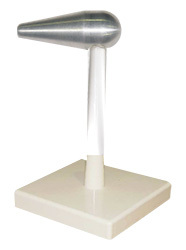 Fitted on an insulated acrylic transparent tube shape stand. The entire assembly is fitted on a stable plastic base. Two Biot’s hemispheres with plastic handles are provided. Hollow shell: 65mm dia. Hemisphere: 90mm dia. Base Size: 15 x 15cm. 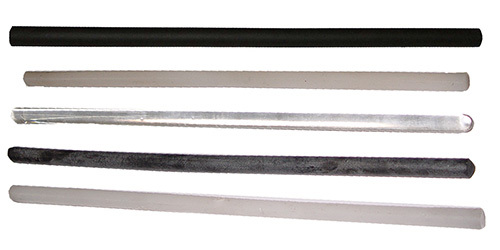 Conductors are used for electrostatic experiment mounted on an insulating rod.